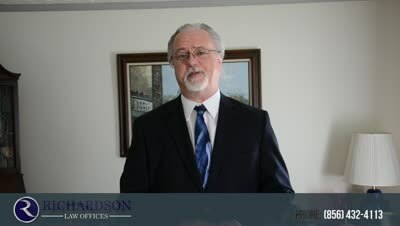 Don't Make These Mistakes That Lead to Divorce and Bankruptcy Financial problems can lead to divorce and bankruptcy. But starting a marriage off with the right attitudes towards money can avoid both! Find out what they are! It should come as no surprise that money problems and debt often lead to divorce. Fights about money can tear a couple apart, and I have seen many of them in my office to talk about bankruptcy. CNBC recently discussed this in an article that set forth a list of the mistakes that they identified as common among couples that experience financial stress in their marriages. Avoiding these mistakes could save your marriage and keep you out of my office. Couples need to communicate when it comes to how they spend their money. Having the same financial goals can be critical! If one of you is a spender, and the other is a saver, you are working at cross purposes, and will never get anywhere. What is worse, you could pass this habit on to your children and perpetuate the problem. This mistake makes the first one worse. You not only do not communicate with you spouse, you actively hide your spending from him or her. This is usually done to avoid a fight about money and allow the spending without consequence. The first mistake leads to miscommunication about financial goals and attitudes. This one llows the problem to fester, as the purchase is often ultimately discovered, and the deception makes the conflict over the original purchase worse. As the mistakes discussed above point out, financial decisions in a marriage need to be made together. This is especially true of long term planning, like retirement. You should meet with a financial advisor together, so that decisions can be made jointly. These discussions can also uncover previously unrevealed conflicts in money attitudes or goals, thus allowing them to be addressed. In addition, knowledge of the plan should not be limited to one spouse. What if something happens to that person, and the other doesn’t know what the plan is? This can lead to disaster in the form of financial strife in the event of death or divorce. This is a variation of the previous mistake, but just does it on a broader scale, as the delegation is on a day-to-day basis. You basically put your financial future in the hands of your spouse and eliminates any kind of financial independence. This also causes the problem above, where that spouse becomes disables, dies or divorces you. As the old saying goes, “When hunger raps at the window, true love flies out the door.” You love each other, but you must acknowledge the real world, economic practicality of your marriage. The Captain and Tennille were wrong; you need more than love to keep you together. Although it can happen to any couple, those that marry young can have an unrealistic few of marriage and think that all they need is love (Yes, the Beatles were wrong too). Frank discussions about money and finances that begin before the wedding and continue throughout the marriage are more likely to result in an appreciation of differences of opinion on money and an ability to find common ground despite those differences. What If There Is Already a Financial Crisis? If you are beyond the point where these five points may help you stay on an even financial keel, you may have to file bankruptcy in order to “hit the financial reset button,” and start following the points above from a fresh start. It may just save your marriage. If things have already gone too far, and you are looking for more information on how bankruptcy might help you with your divorce, then you should download my free book, Top Questions Divorcing Couples Ask About NJ Bankruptcy. Posted on 09/19/2013 How to Lose Your Home in Bankruptcy: It Isn't Your Residence!